Chef Paul O’Shea dishes on delicious menu items, Montauk and favorite Long Island spots. 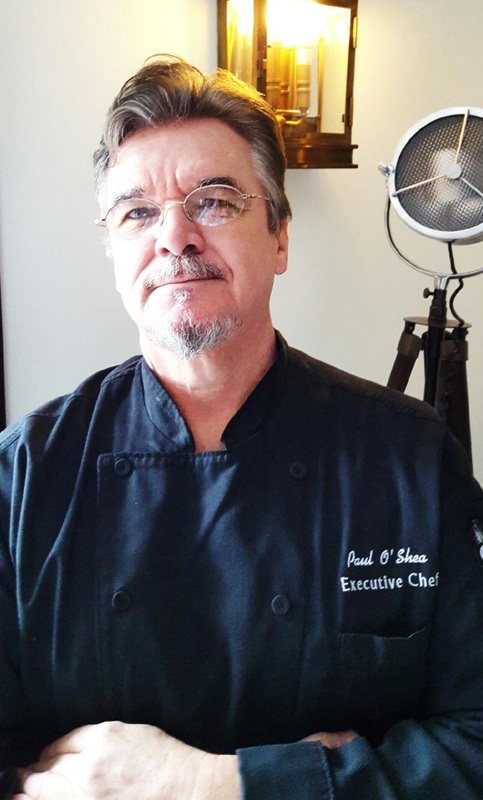 Chef Paul O’Shea had never been to Long Island before he was named executive chef of Montauk Yacht Club Resort & Marina in February, but the Ireland native who comes to The End from Embassy Suites Hotel & Convention Center in Tennessee is loving his new neighbors. Get ready to be awe-inspired by his menu, with seafood entrees made with fish plucked from local waters that day, herbs grown in an on-site garden and your favorite guilty-pleasure brunch items too good to pass up simply because it’s swimsuit season. Before you make your first trip of the season to Montauk, I got the lowdown on what’s good on the menus at Montauk Yacht Club Resort & Marina and why The End is a chef’s dream muse. Long Island Pulse: What made you decide to be a chef? Chef Paul O’Shea: When I was in Ireland cooking, I saw how the chefs took that passion and channeled it into what they were doing and the focus and being very creative. I love that part of the business, where you have that freedom and you can create your own identity. Pulse: How does cooking in Ireland compare to cooking in the States? O’Shea: Food has really, really changed in terms of how it’s fused with many different cultures. Ireland’s kind of going through the same thing as the United States, including how everything is becoming more regional. People are paying closer attention to what’s local. Pulse: What makes cooking in Montauk special? O’Shea: We’re sitting out here on the tip and almost completely surrounded by water. It’s those surroundings that tell you what your cooking should be all about and where it should come from. The tuna, the swordfish, the flounder, the oysters around here are so fresh. Pulse: What’s your favorite dish on the menu right now and why should we order it? O’Shea: I have two favorites. One is the chicken and waffles. It’s a sweet potato waffle with a fresh chicken, fresh caramel sauce with some macadamia nuts. I used to cook that for my son on Sunday mornings. I also love the fluke I have on the menu. Gosman’s Fish Market sends us local fish straight off the boat. I do that with a little shiitake sauce. I keep it really light. 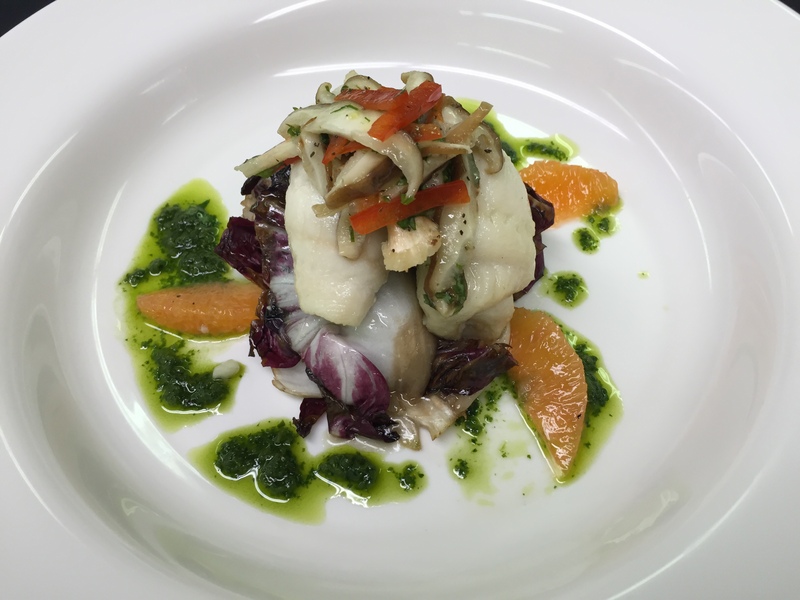 Sometimes with the fish the flavors speak for themselves. Pulse: You mentioned cooking for your son. There’s a lot of nostalgia when it comes to food. What’s your favorite food related memory? O’Shea: My mother always cooked me a coffee birthday cake, even in my early teens. I loved coffee and my brothers hated it so we always had to have two cakes on all my birthdays. Pulse: Sounds delicious. These days, what are your go-to guilty pleasure foods? O’Shea: A nice, fresh salsa and a nice local wine or beer. 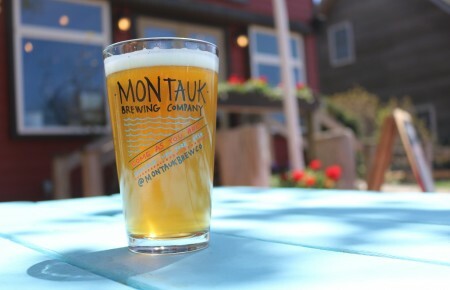 Montauk beer is really good. I’ve done some wine tastings and Bedell and Wölffer have really good wines. I love the Hamptons cookies too. Pulse: What’s your perfect off day on Long Island like? O’Shea: It’s so beautiful around here. If I’m not doing my laundry, I’m usually chilling on the beach. The oceanside with the waves coming in is just really serene, and I like to hit a local restaurant to check things out. Pulse: What is a favorite local restaurant and what should we order there? O’Shea: Gig Shack. One of their great dishes is the tuna taquitos. It’s really outstanding how fresh the fish is, how they present it and the crunch to it. Pulse: You’re headed for the electric chair tomorrow. What’s your last meal? O’Shea: Wow. [Laughs] I think it would have to be something that’s truly organic, the best the earth can offer. [I] can go as simple as an organic Wagyu burger with an organic duck egg and some organic lettuce. Or I’d find out who makes the best pizza in the world. Pulse: What are some tips for the at-home chef that wants to impress their SO?